Vital work of charities damaged by fundraising, says Charity Commission chair: The “vital work” of charities has been damaged by aggressive fundraisers at some charities which had lost their way, the chair of the Charity Commission has written today in an article for The Times. The Department of Energy and Climate Change (DECC) has relaunched the Big Energy Saving Network and is open to applications from third sector organisations in Great Britain. DECC has launched the 2016/17 Big Energy Saving Network, a £1.7 million programme jointly funded by DECC and National Energy Action (NEA) to support eligible third sector organisations and community groups, deliver help and advice to vulnerable consumers. This programme of training, support and grant funding is for legally constituted third sector organisations and community groups to deliver an extensive programme of outreach to vulnerable consumers, focused on helping them reduce their energy costs through assisted action on tariffs, switching and the take up of energy efficiency offers. To provide assisted action for the maximum number of vulnerable consumers possible with the funding available, helping them save money on their energy costs through attendance at BESN Champion and/or Volunteer led outreach sessions. To deliver a training programme to frontline workers who come into regular contact with vulnerable consumers, in order that they can give direct help and advice to clients to help them save money on their energy costs where practical. The funding can be used for staff costs, venue hire, publicity, printing, IT, translation costs, travel and other associated expenses to run events and/or make home visits. The outreach programme will run through autumn/winter 2016/17, with outreach activity concluding on 24 March 2017. The deadline for print applications is 8 July 2016. The deadline for applications submitted by email is 10 July 2016 (midnight). The Hilden Charitable Fund provides grants to charities in the UK and non-governmental organisations in the developing world. The average grant award is £5,000 and can include capital and revenue costs. During the year ending 5 April 2015 the Fund received 819 requests for grant aid and awarded 102 grants totalling £472,300(2013/14: 836 applications resulting in 97 awards totalling £430,920.) Grants are directed largely at supporting work at a local community level. o If they are working with partners overseas they should show that their partners have been in existence for at least three years and have an income of over £10,000. PLEASE NOTE: grants are not made to individuals and are rarely given to well-funded national charities. Application forms are available to complete on the Fund’s website. However, the application form should then be printed out and returned to the Fund by post. The next application deadline is Monday 27 June 2016. Facebook looking to make ‘donate’ button available to UK charities this year: Facebook is looking to roll-out its ‘donate’ button feature to all charity pages at some point this year, a fundraising conference was told last week. Summer is nearly upon us, and we have just opened a new funding round! In Round 5 we awarded about £40,000 to 30 groups, and this summer we are looking forward to helping support even more groups fighting for social change. We support work run by and for communities facing discrimination and injustice. We fund work carried out by individuals and grass-roots groups in Ireland, Scotland, Wales and England that find it difficult to get funding elsewhere. Specifically, we fund work that challenges abuses of power and aims to change society by bringing an end to the systems that cause injustice. While applicants may be working on short term reforms, we are looking for applicants that ultimately aim to end or replace these systems with a just alternative, rather than trying to improve or reform them. Check out our funding criteria and our values statement for more information. To give you a good idea of the kinds of groups we fund, you can also take a look at the ones we have previously funded. To apply for a grant of up to £3,000 you need to answer some questions about your group, and its activities – more details can be found here. For this funding round, we have a new PDF application form that we hope will make the process a bit easier for applicants, but if you are having any difficulty at all, or if you have any questions about applying for funding, please get in touch. The deadline for applications is midnight on the 3rd of July, and decisions about who gets funded will take place in the Autumn. What do you think of the recipe? Please go to their updated website for more information. The Woodward Trust provides grants to support smaller organisations with an annual turnover of less than £300,000 working to improve their local area. o Children's Summer Play Scheme grants, £200-£1,000 (76 grants were made last financial year). For the summer play scheme grants, the charities' annual income must be less than £100,000. Funding is primarily for one-off projects, but the Trustees are willing to consider funding running costs, including core cost and salaries. o Environmental projects, especially with a strong educational element. Application forms are available from the Trust's website. All applications must be supported by a detailed project budget. Applicants are asked not to send their annual report and accounts, unless these are unavailable on the Charity Commission website. Applications are considered in January and July, with the exception of Play Scheme grants, which are considered in May. The next deadline for small and large grants is Sunday 31 July 2016. The principal objective of Help the Homeless is to support the care and treatment of the single homeless. The charity acknowledges that the reasons for homelessness are varied and often complex, involving ill health, addiction or adverse circumstances. The charity considers homelessness to be not just about the people that the public sees and thinks about —principally "rough sleepers" living on the streets — but the whole range of people who lack a home. Help the Homeless grants are aimed at projects to find practical ways to help disadvantaged individuals return to the community through training or residential facility provision, rather than merely providing short term shelter. Grants up to £5,000 are available for small and medium sized charities with a turnover of under £1 million per annum. Very occasionally grants of over £5,000 are awarded. Help the Homeless distributed grants totalling £99,810 during the financial year ending 31 March 2015.
o Progressive Lifestyles, Liverpool (£2,000). The Fund will only consider supporting capital costs. Applicants requiring funding for building work and refurbishment are asked to contact CRASH - the construction industry's charity for homeless people - for advice. Funding is not available to individuals or for computers and IT equipment. Application forms can be downloaded from the Help the Homeless website. Completed forms should be returned with a copy of the organisation's most recent audited annual accounts. During the financial year ending 5 April 2015 the Trust made 42 awards totalling £301,500 (2014: 38 awards totalling £301,000). The average grant award was just over £7,000. o St. Mary-le-Bow Young Homeless Project (£10,000). Requests are considered throughout the year at regular Trustees’ meetings. No acknowledgements are sent out to unsuccessful applicants. Support for drawing up development plans and protection and management plans. Support for broadband infrastructure, including its creation, improvement and expansion, passive broadband infrastructure and provision of access to broadband and public e-government. Support for investments in the setting-up, improvement or expansion of local basic services for the rural population including leisure and culture, and the related infrastructure. Support for investments for public use in recreational infrastructure, tourist information and small scale tourism infrastructure. Support for studies and investments for maintenance, restoration and upgrading of cultural and natural heritage. Businesses, public and voluntary, community and social enterprise (VCSE) sector organisations in rural areas of Wales may be eligible to apply. The second EOI round is open until the 30th June 2016. PAVO, working with the multi agency Volunteering Project Board aims to survey organisations who work with volunteers with a view to ascertain information about current and future volunteering projects. Together we can show the huge range of volunteers in Powys! Reserves - How much should you hold? Here's an interesting article about how much money a charity should hold in its reserves when applying for grant funding. The MSE Charity is running a special Innovation Round whilst it is in a period of strategic review during which its normal grant giving is on hold. Not-for-profit constituted groups/organisations within the UK that are previous applicants, existing grant holders as well as those that have never applied for an MSE Charity grant before are eligible to apply for this unique grant round. The Innovation funding is available for applications that deliver financial capability. This means improving people's ability to manage their financial situation and developing their financial skills and knowledge. Applications must be innovative, testing out ideas that are genuinely new; that as far as possible do not overlap with projects funded by other funders. Grants of between £2,000 and £15,000 are available for projects that are likely to be completed in one year; however, applications for up to three years will be considered. The Charity's normal grants programme is expected to resume later in 2016. According to the MSE Charity, details will be posted well in advance online. 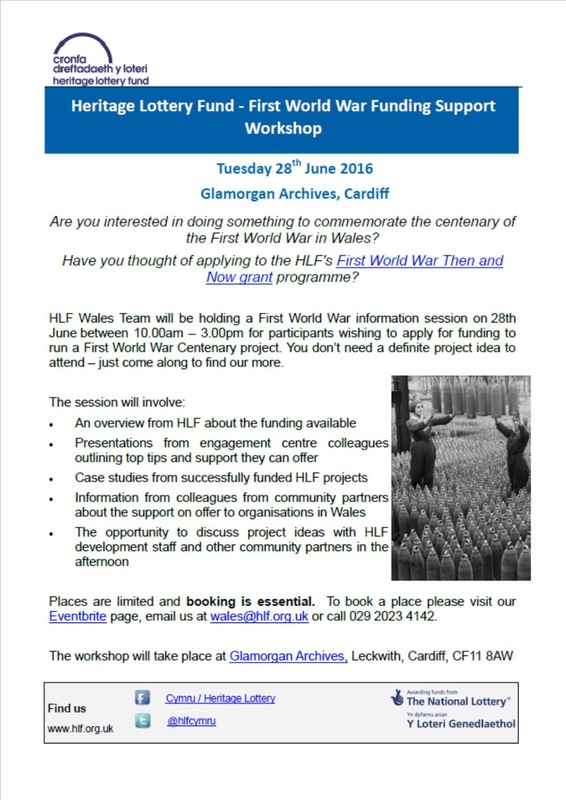 The deadline for applications is 10 June 2016 (5pm). Here's some sound advice from the Lottery Funding Officers, it refers to Awards for All, but could be applied to any application! 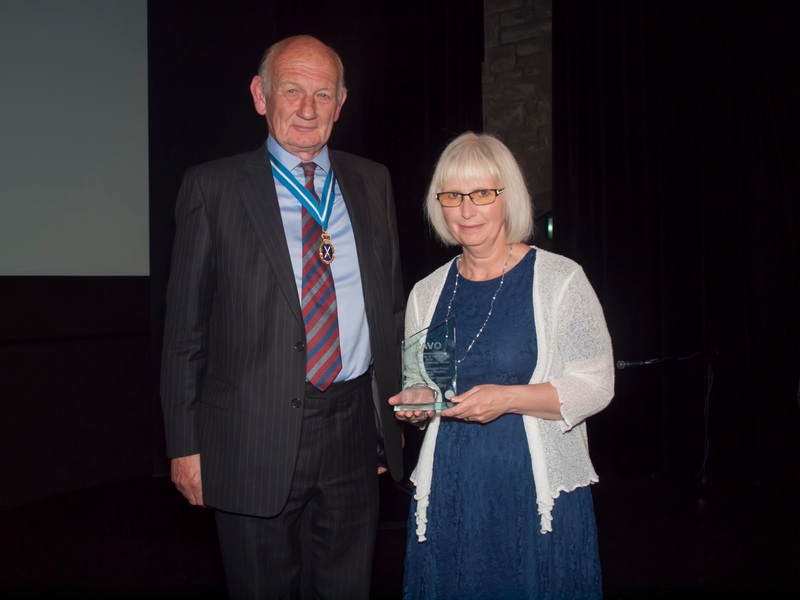 There's still time to nominate for Powys Volunteer of the Year! Last year's awards gave just a snapshot of the voluntary work that is undertaken by volunteers all over the county. Tessa has been volunteering for the past two and half years. Tessa helped to establish the Llandrindod Wells Foodbank in partnership with the New Life Church, after researching and identifying that there was a need for a foodbank in Llandrindod. The foodbank also now serves the areas of Rhayader, Builth, Wells, Llanwrtyd Wells and Llanidloes. She volunteers for up to 20 hours a week. “She has established a facility that many hundreds of people have already benefitted from and who and very thankful for her vision, dedication and hard work”. PAVO OUTREACH SURGERIES - We are coming to a town near you! Come along for a chat with a PAVO development officer to find out how PAVO can support you. Can you offer us a venue to hold our outreach sessions? Contact us on 01597 822191 if you can help! The Government has opened the Aged Veterans Fund to Expressions of Interest from across the UK. In August 2015, HM Treasury allocated £25 million (£5 million a year, for five years) to the Aged Veterans Fund. The funding is aimed at projects that support non-core health, wellbeing and social care needs for UK veterans born before 1 January 1950 and who live permanently in the UK. This includes veterans who have survived World War Two, those who undertook National Service and other voluntary enlisted veterans who may need some focused support in relation to their health and social care needs. Projects should have a real and lasting impact on the quality of life of lives of older veterans and directly benefit them and support them. Although families and carers may also benefit from the projects indirectly, no individual may receive any cash benefit. Practical support and companionship to improve older veteran's wellbeing. Providing services to assist individuals in the completion of personal paperwork. Projects to build or enhance access to centres where elderly veterans can meet and avoid isolation. The funding is for projects which are broadly accessible, as well as those that are targeted at the oldest and most infirm, who have clear support physical and emotional needs to live independently and avoid isolation. The Government is 'particularly keen' to see portfolio applications from not-for-profit organisations that have a good track record of managing similar strategic partnership projects across regions and nationally. In this case, 'portfolio' refers to a 'linked collection of projects coordinated by the lead organisation and provided by suitable partner organisations'. The lead organisation must be a registered charity with a track record of managing large strategic projects and the capacity to manage and coordinate the provision of the proposed portfolio. Both the lead partner and the portfolio partners must have expertise in the subject area and engage with the beneficiaries. The deadline for Expressions of Interest is 1 July 2016 (noon). Funding is available to enable communities in Great Britain to generate renewable energy and become environmentally and financially sustainable. The Community Energy Fund Competition is open to applications for 2016. Funding for this competition is provided by M&S Energy which is owned by the retailer Marks & Spencer. The Fund aims to enable more communities to generate renewable energy and become environmentally and financially sustainable. Not-for-profit organisations in Great Britain can apply for funding for renewable energy projects that can demonstrate they have the support of their local community. Grants can be used for all capital costs relating to the installation of the specified technology. Funding is available for community groups that require a maximum of £12,500 for the installation of a specified technology. The amount o f £12,500 will be available to one community group within each M&S region. There is also a minimum allocated funding of £20,000 which will be split between the most inspiring and innovative projects. The deadline for applications is 31 May 2016. The Ministry of Defence’s Covenant Fund 2016/17 is now open for applications for three of the four new priorities. The Covenant Fund, an enduring fund established in August 2015, provides £10 million each year to support the armed forces community across the UK. A single grant of up to £2 million for a two-year pilot project to set up a single 24/7 multi-media point of contact for veterans seeking assistance. It will refer callers to existing service providers across the UK, and then follow up with the caller to ensure that they got the advice they needed. It will not compete, replicate or in any way undermine existing charities’ or government departments’ helplines. It will not provide any services but it will filter the right person to the right charity and increase the demand on their services and expertise. The Veterans’ Gateway will be funded as a two year project, with the aim that it became self-financing within those two years. Local charities or community interest companies that provide specialist services, working in close partnership with military bases can apply for grants of between £20,001 and £300,000. Eligible projects should support families of serving personnel who are experiencing a significant stressful life event and would benefit from an intervention from a provider who can offer specialised, localised (or easily accessible) and immediate support. These life events could include: life-changing injury, bereavement, domestic abuse, relationship break-up, those subject to the civil or service justice system or mental health issues. Beneficiaries should be the families of serving personnel based both in the UK and overseas. Projects must either be new or enhance the support that is already available with an emphasis on long-term self-sufficiency. Projects should fill gaps in provision and not replicate or replace services already provided, nor create dependency. This priority will not fund capital schemes such as play parks or projects that extend to families of veterans. Charities (including community interest companies); schools; local authorities and Armed Forces units with a UIN can apply for grants of up to £20,000. Applicants are expected to have experience and a track record of working with the Armed Forces Community, as well as a real understanding of the issues facing the Armed Forces Community. The deadline for applications to the Veterans' Gateway is 1 July 2016. The deadline for applications to Families in Stress and the Community Integration/Delivery of Local Services is 22 June 2016. The People's Postcode Trust’s Small Grants Programme is now open to applications from England, Scotland and Wales for the first of two funding rounds this year. The Trust wants to make the world a better place through short-term funding for projects that help to prevent poverty, support healthy living initiatives and uphold human rights for some of society's most vulnerable groups. It will also consider projects which help different communities come together for better understanding and community relations. Training programmes to boost skills and opportunities for disadvantaged groups. Improvements to physical and mental health. The first deadline for applications is 31 May 2016.